To assemble and provide objective and understandable data and expertise about species and ecological communities of conservation concern, including those at risk, and to undertake field biological inventories in support of decision-making, research, and education in Atlantic Canada. The Atlantic Canada Conservation Data Centre (AC CDC) was established in 1997. It became a member of NatureServe in 1998 and NatureServe Canada in 1999, was incorporated as a non-profit organization in 1999, and became a registered charity in 2000. Like all Conservation Data Centres, our staff gather, maintain, and update spatially-accurate occurrence data for species and ecological communities of conservation concern. The AC CDC continues to be a member of NatureServe and its affiliate, NatureServe Canada. The NatureServe Network consists of programs, similar to the AC CDC, in all of the Canadian provinces and territories with the exception of Nunavut, in all 50 American states as well as in a number of Latin and South American countries. The Newfoundland and Labrador Conservation Data Centre (NL CDC) is a node of the AC CDC located in the provincial Wildlife Division office in Corner Brook, Newfoundland and Labrador. 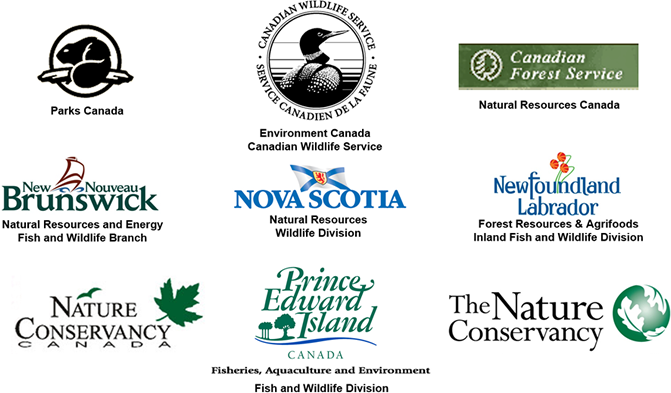 The Wildlife Division supports the NL CDC through a cost-sharing agreement with AC CDC and the NL CDC provides services to Newfoundland and Labrador clients and manages the Wildlife Division's biodiversity and endangered species databases. Both the NL CDC and the AC CDC are part of NatureServe. To contact staff at the NL CDC see the Contact Us page. The AC CDC logo is the Roseate Tern, (Sterna dougallii), a graceful seabird occuring in Canada only on our Atlantic coast, where it breeds within colonies of its very similar, and more common, relatives the Common Tern (Sterna hirundo) and Arctic Tern (Sterna paradisaea). Under 200 individuals breed in Canada and the Roseate Tern is considered Endangered under the federal Species at Risk Act and the Nova Scotia Endangered Species Act. It is one of over 2,600 rare species maintained in AC CDC's comprehensive observations database. The AC CDC receives direction from a Board of Directors and financial support from them, other Members, government funds, foundation grants, and corporate contributions. If you would like to support the AC CDC's conservation science efforts financially, please contact us.